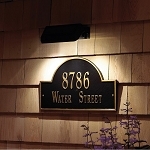 The address plaque is made of rust-free recycled cast aluminum and is completed with beautiful weather free finishes. 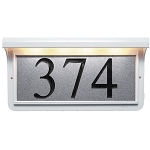 The reflective address plaque is available as a wall address marker. All hardware is provided. 21" x 5.75" x 1.25"
One line: Holds up to four 4" numbers. 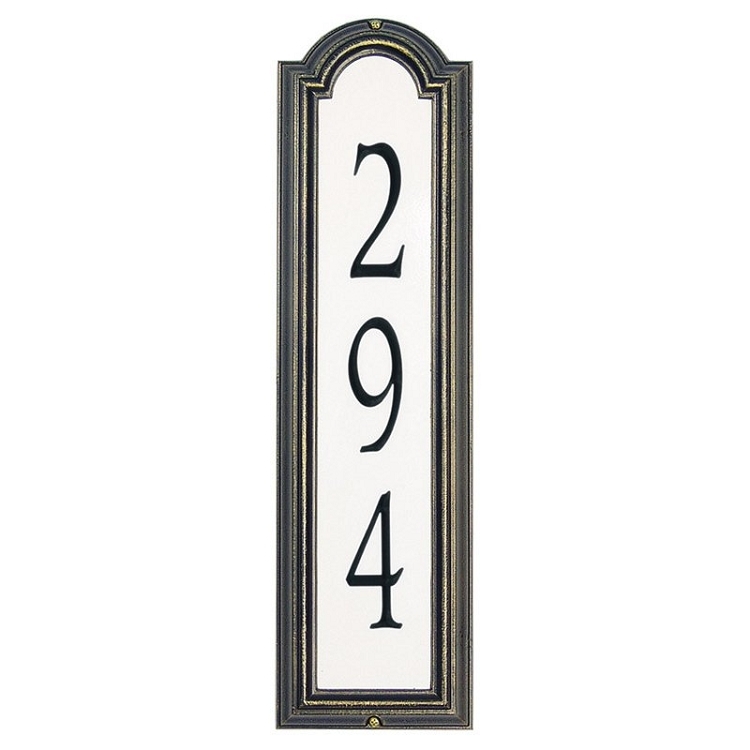 This is a beautiful well made address plaque that should last forever. I mounted it on a 6X6 post with a wooden cap and it looks gorgeous! Plenty big enough to read address quickly and perfect for night time as it is very reflective for anyone including 911.